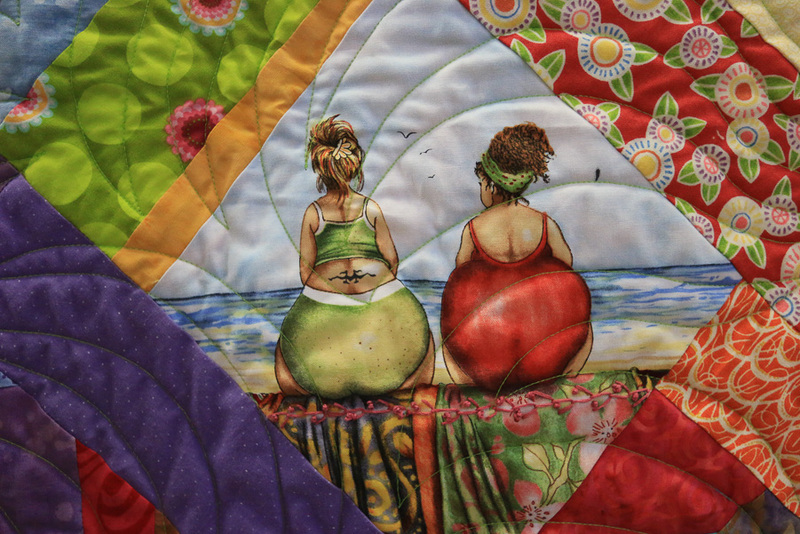 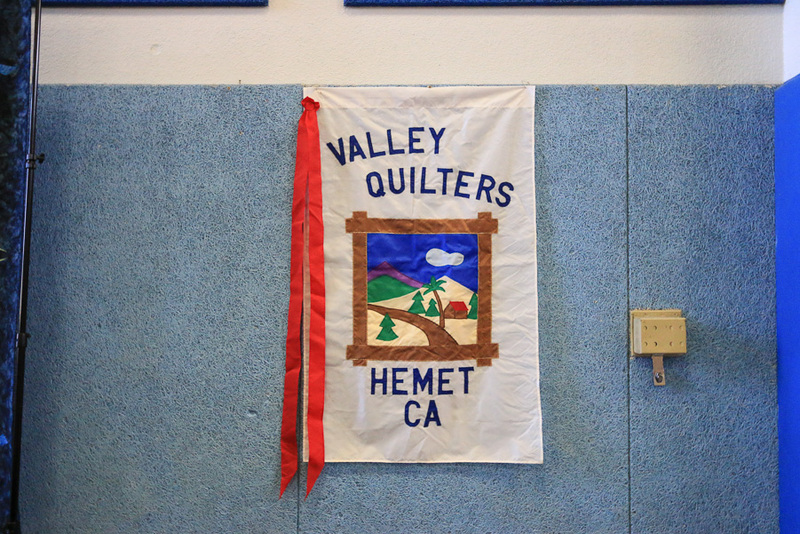 February 8, 2019 - Today we headed south to San Jacinto, CA to see the 2019 Valley Quilters Guild Quilt Show. 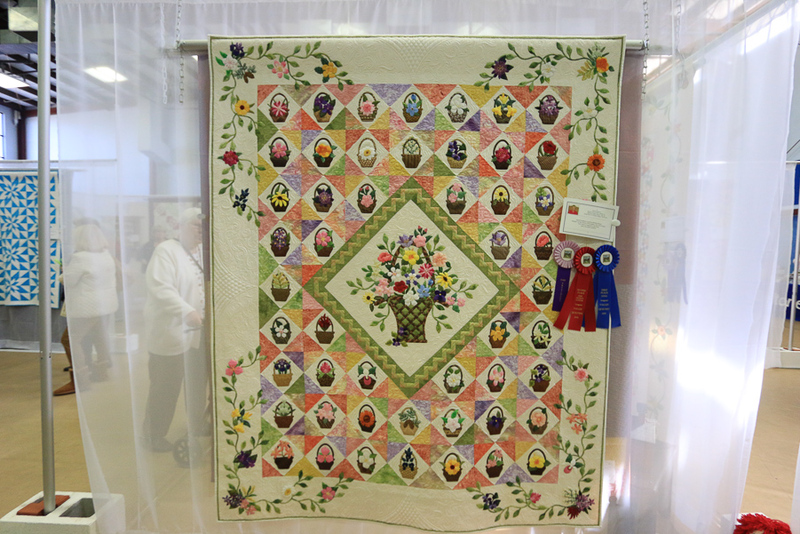 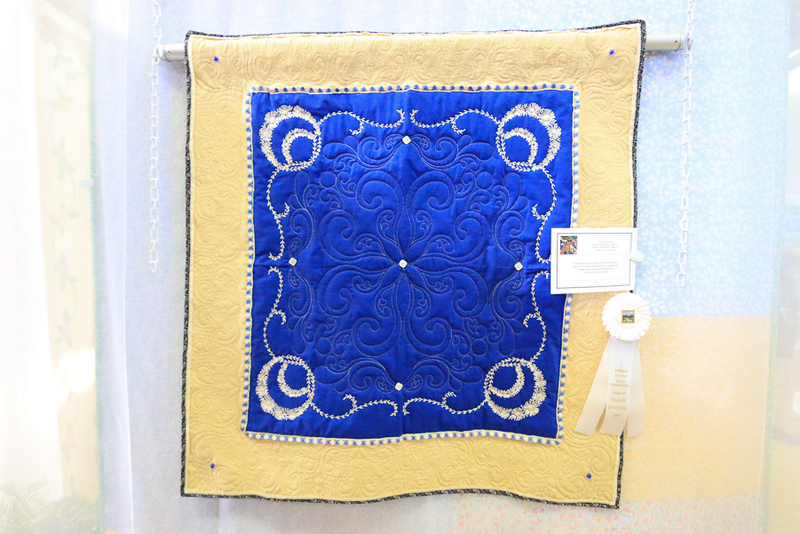 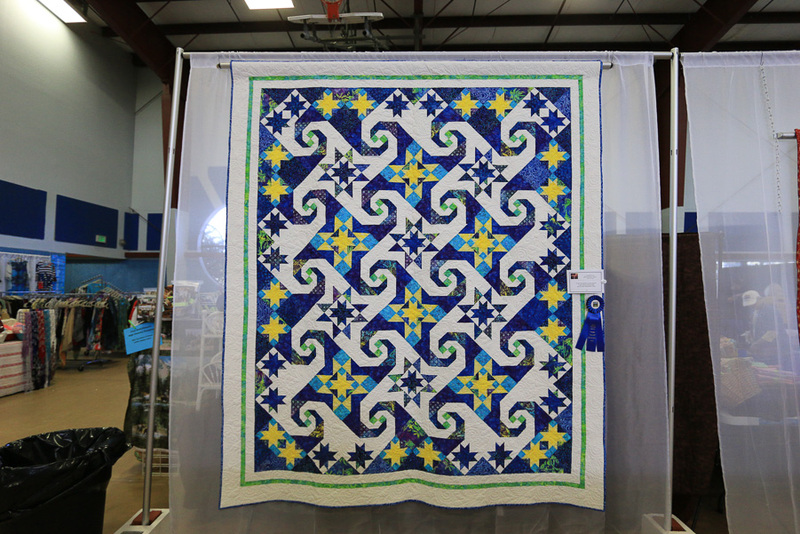 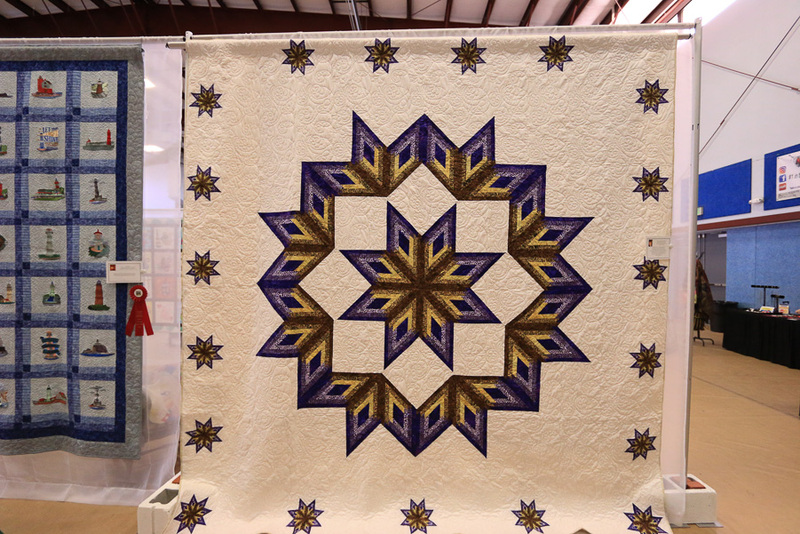 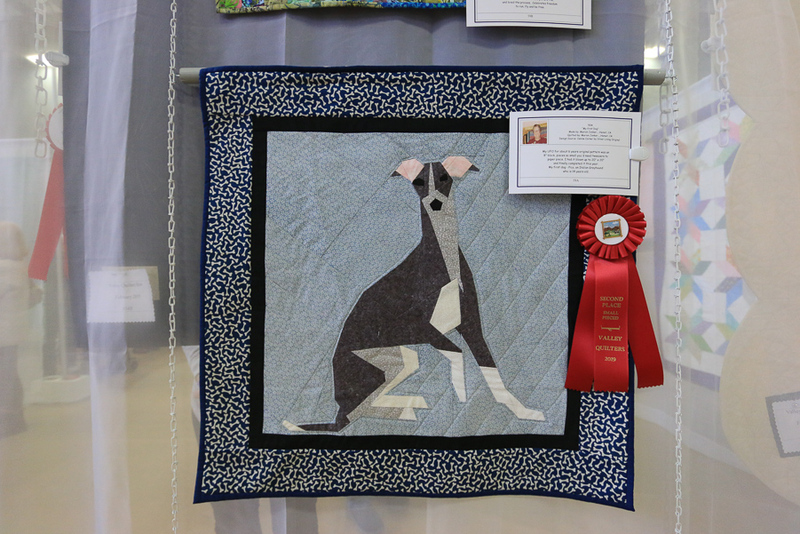 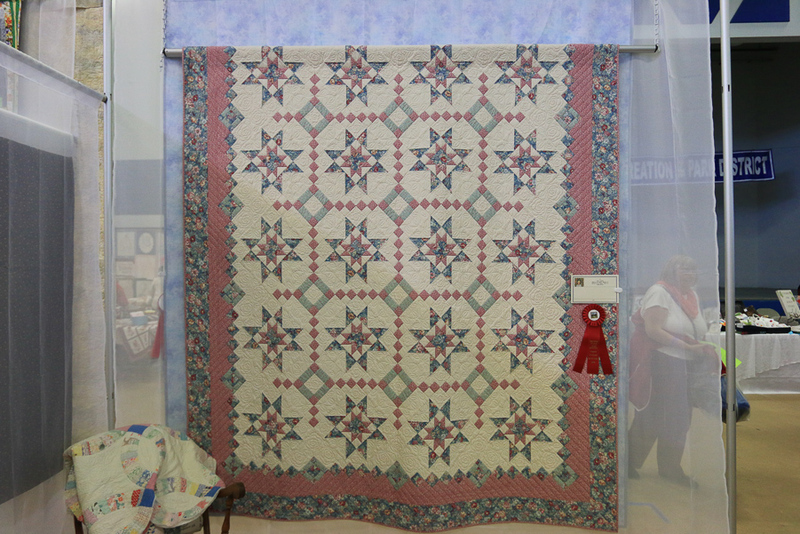 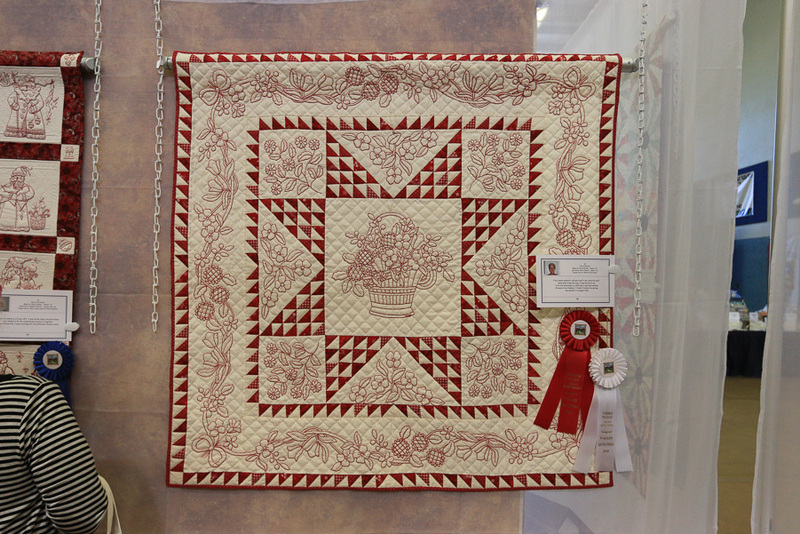 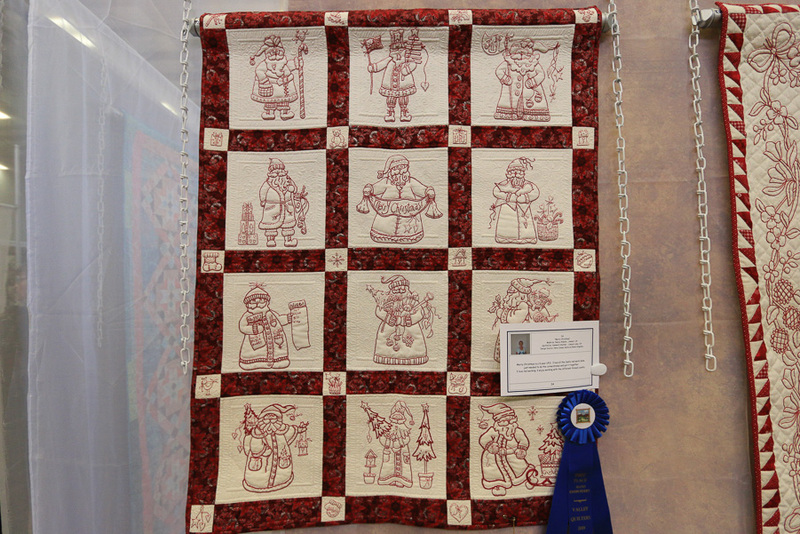 Although we've seen other handmade quilts here in SoCal, this show advertised that over 100 quilts would be displayed. 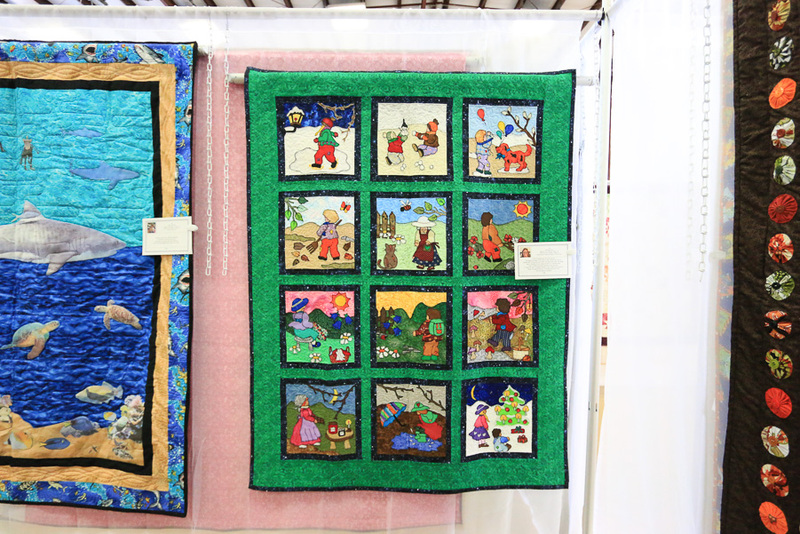 This organization was established in 1981 and there are currently about 100 guild members. 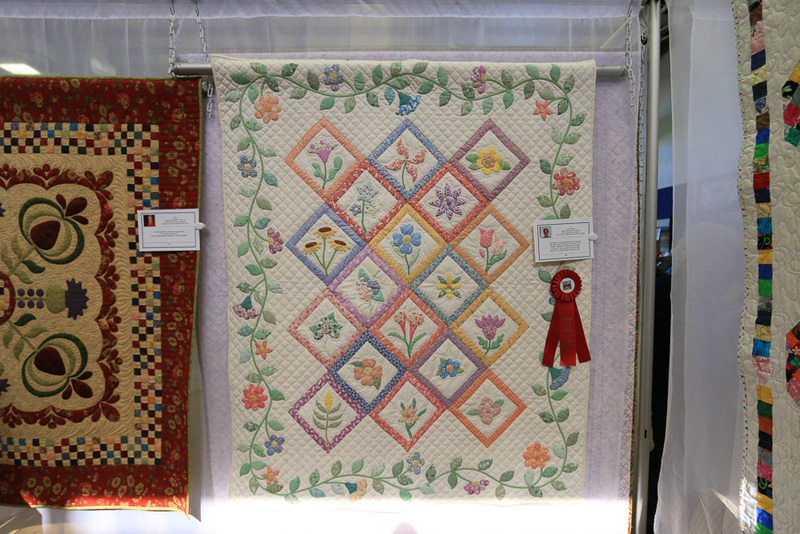 Judy knew more about quilting than I did before we came but, it ended up being a good education for both us. 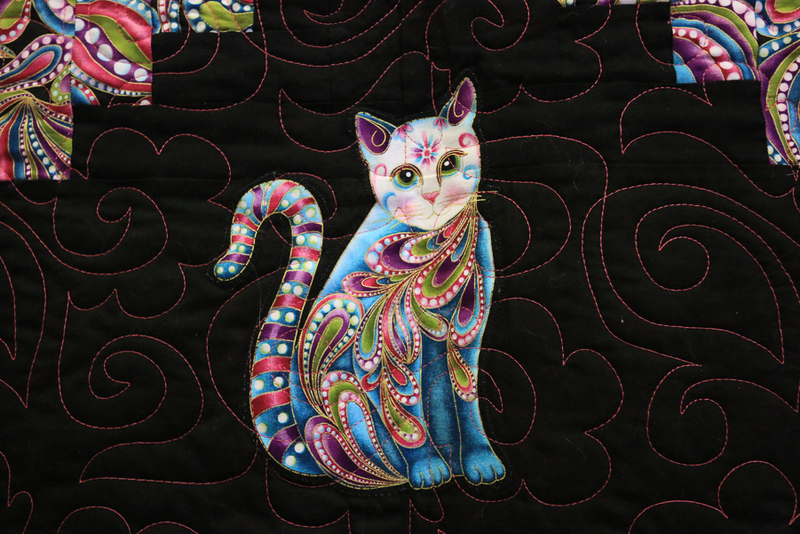 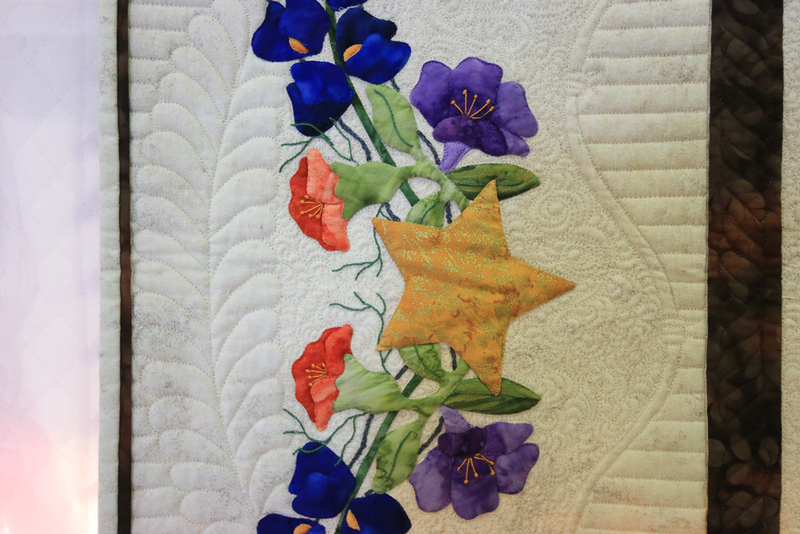 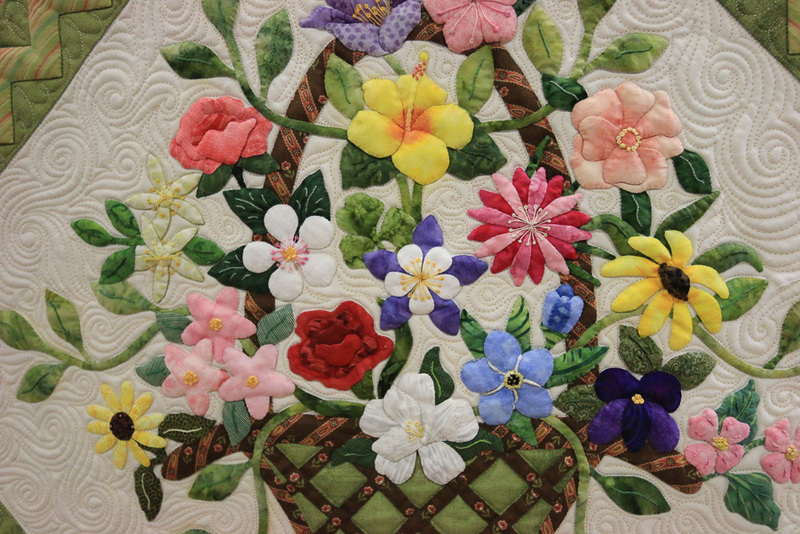 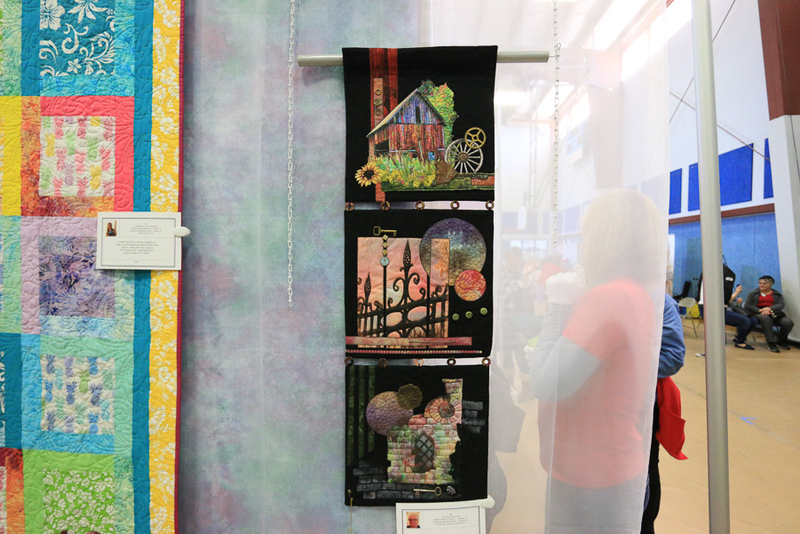 We saw examples of hand quilting, machine quilting, long arm quilting, appliqué, edge to edge, block, patchwork quilting and more. 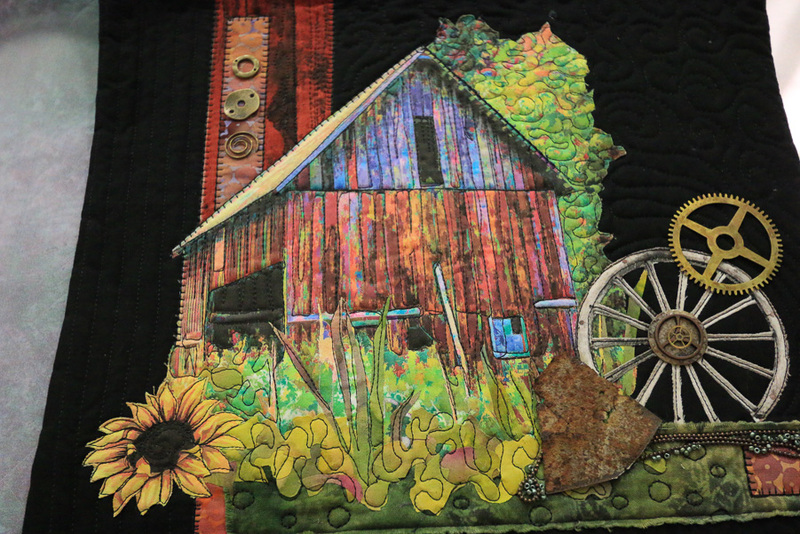 There are many styles and techniques to this art. 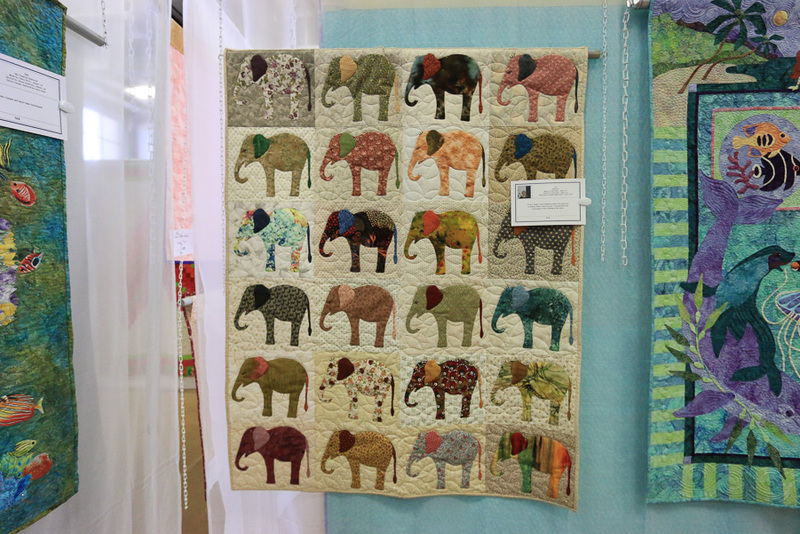 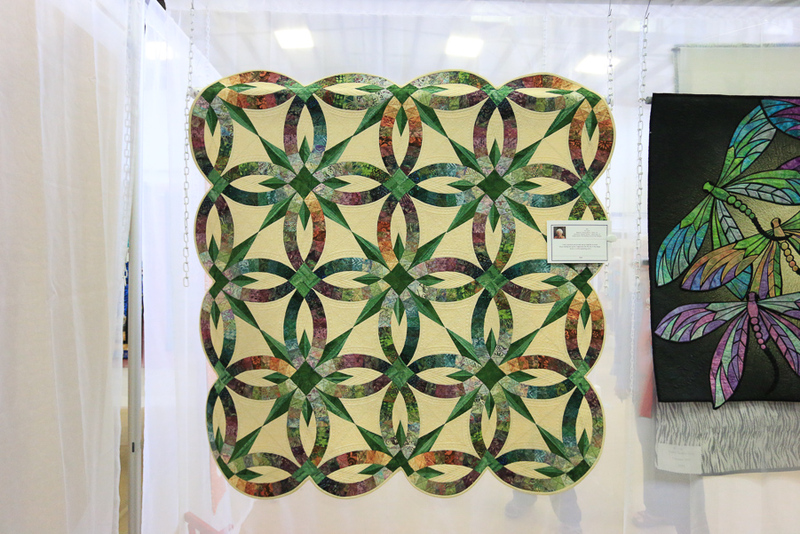 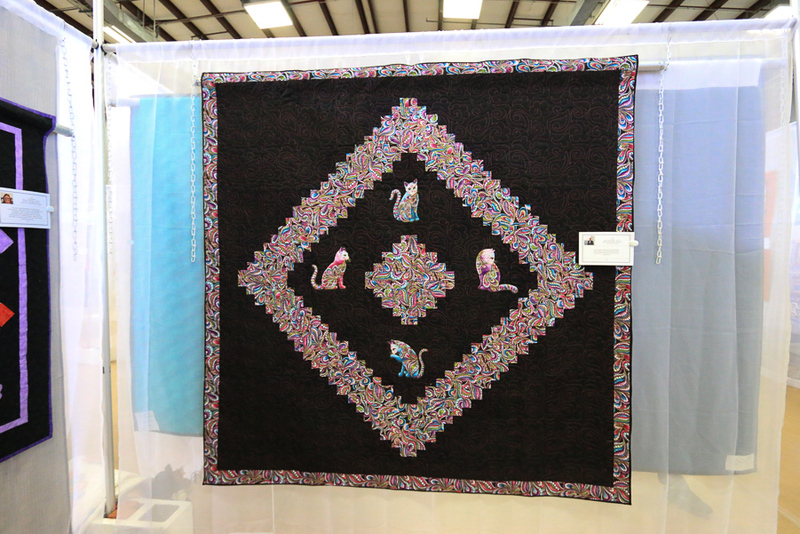 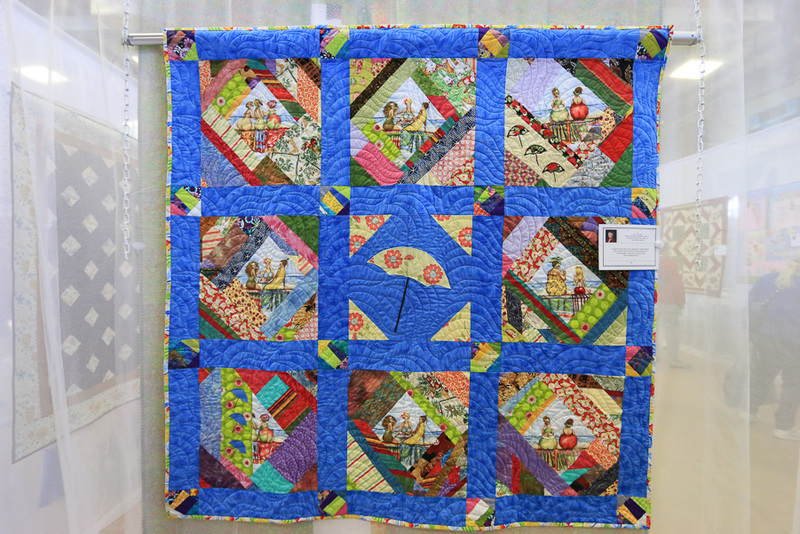 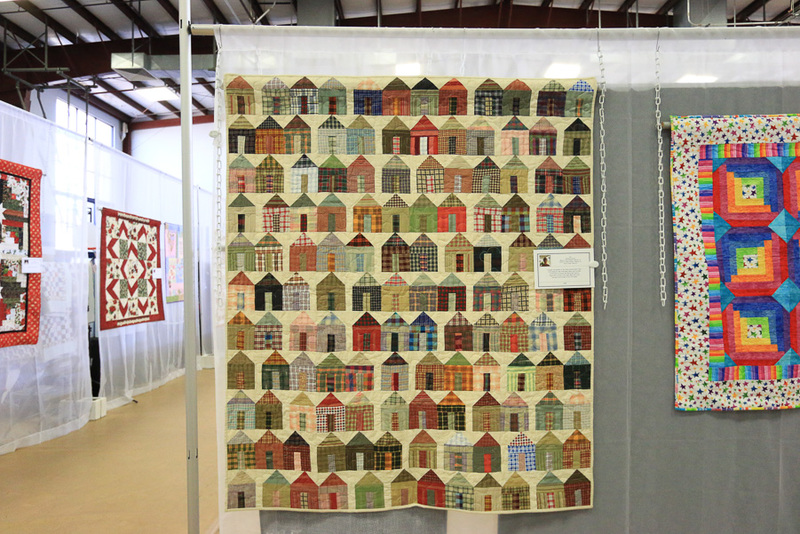 There are over 100 quilts displayed within this creative fabric booth structure. 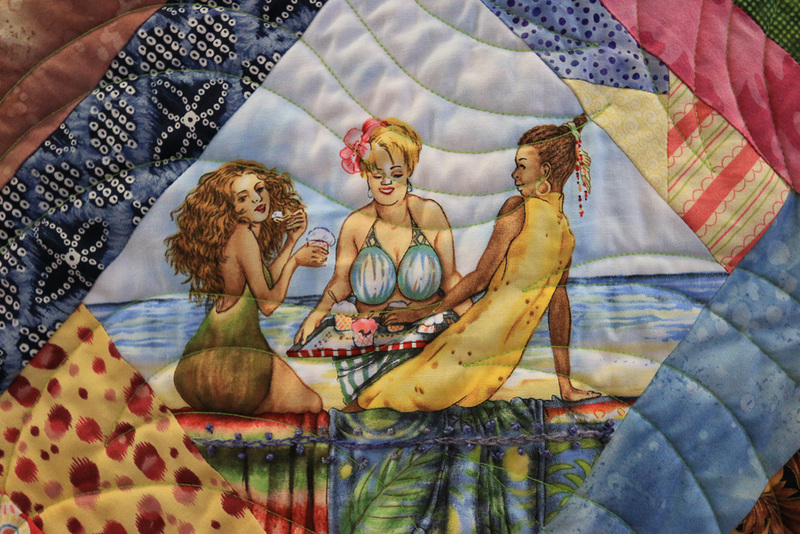 This one is called "Girls at the Beach." 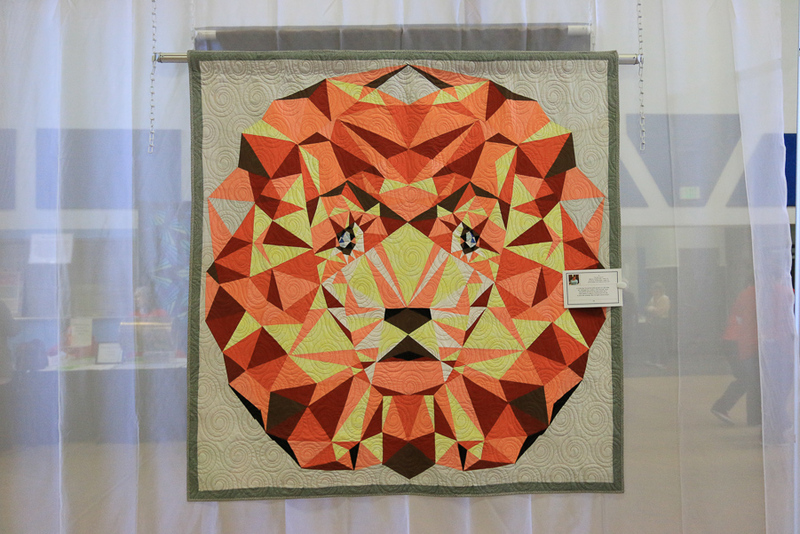 This lion image is called "The Eyes Have It." 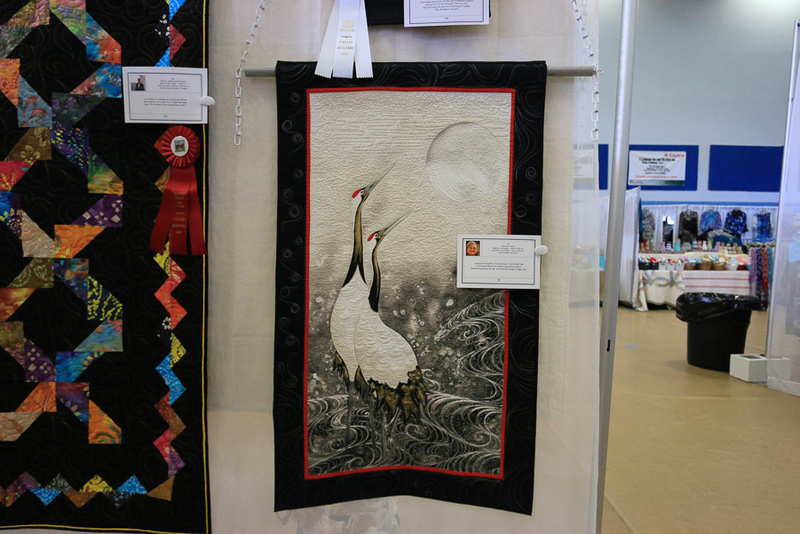 It's a wonderful show. 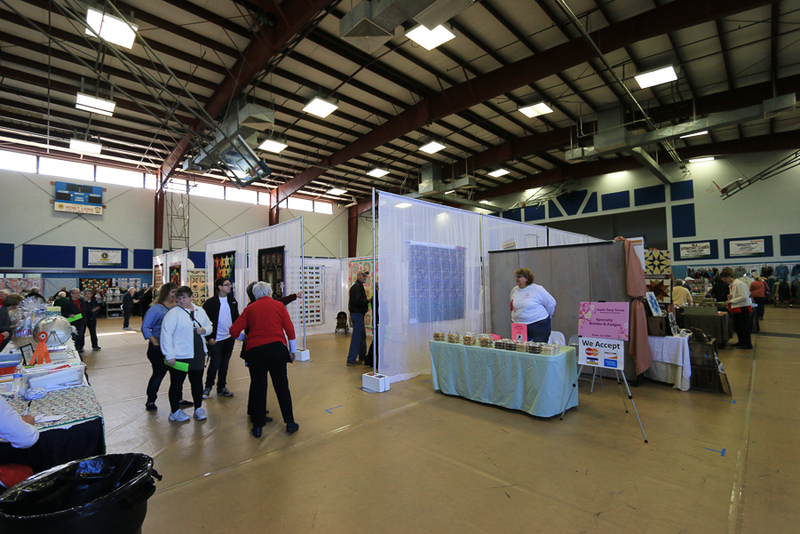 We arrived at 10:00 AM and an hour later it was packed and it was getting a little difficult to move around. 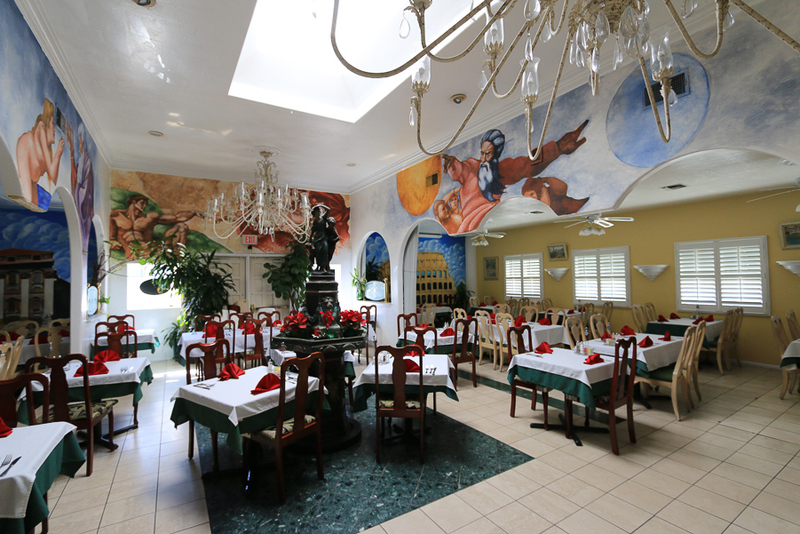 After the show it was time to eat and, through Judy's persistence, she found Dattilo's Ristoránte Italiano, which was close by. 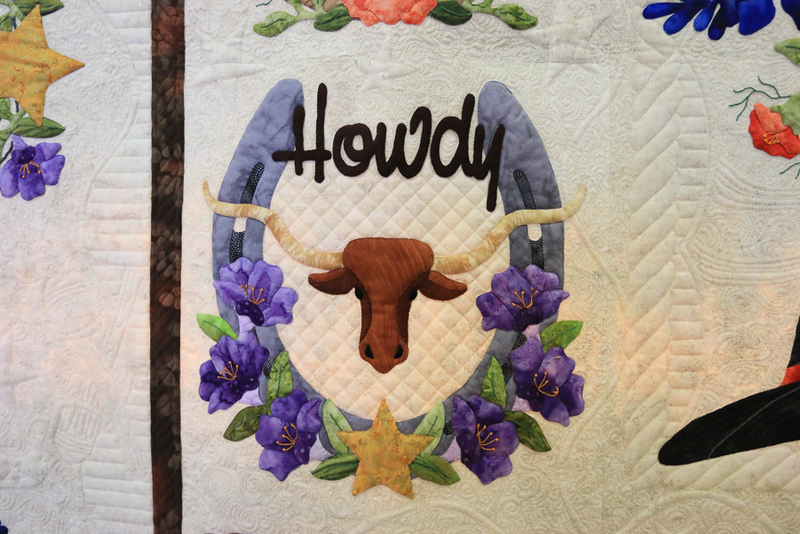 It's been in business for 29 years and it's charming. 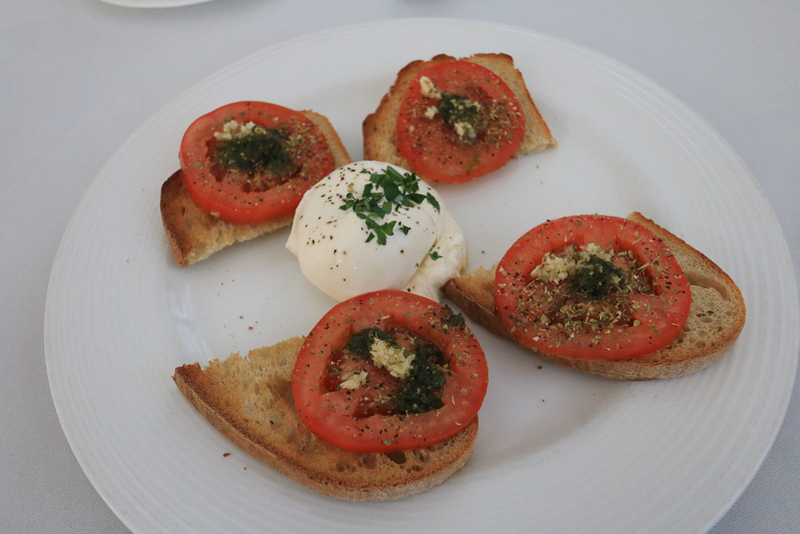 For the appetizer we split their Burrata Broschetta. 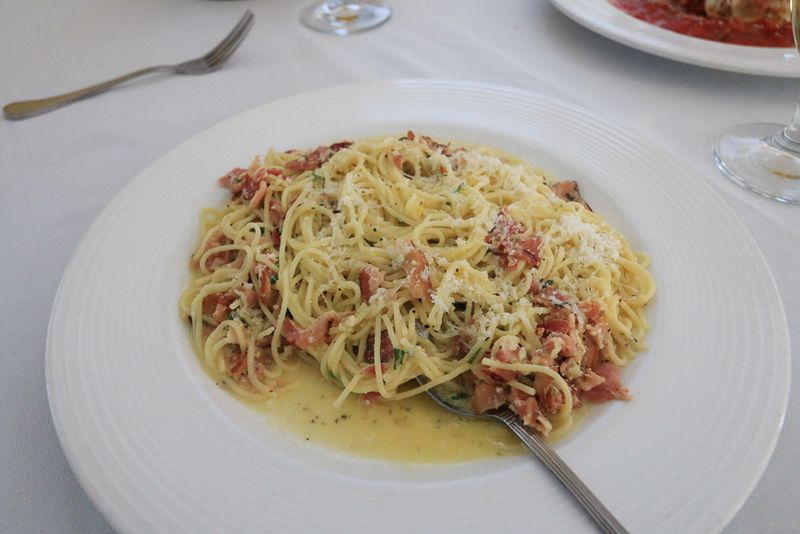 Judy had their Spaghetti Carbonara with proscuitto, black pepper, Romano cheese and egg yolk. 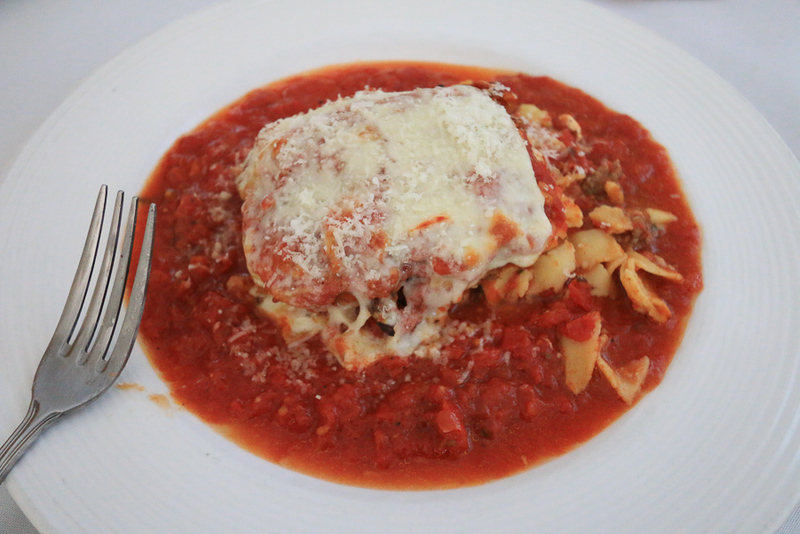 I had their Lasagna al Forno made with fettuccine, ricotta, meatballs, mozzarella and Italian sausage. 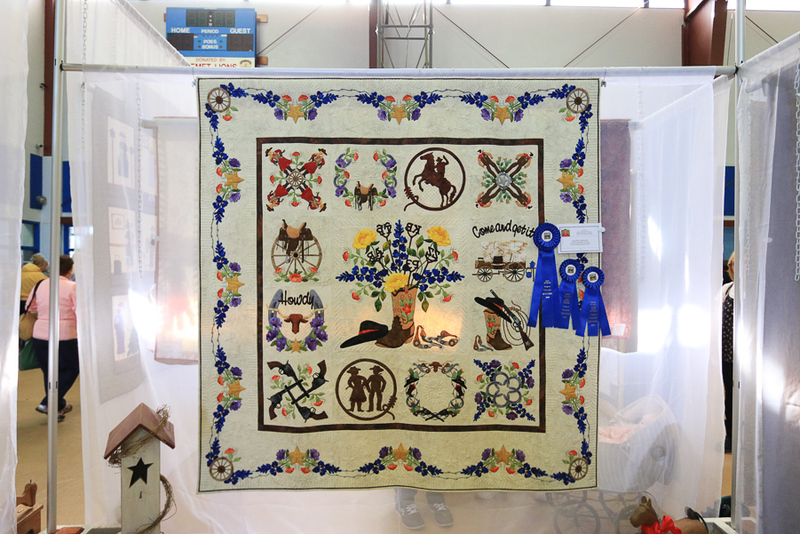 It was a great adventure all the way around!